There are so many wonderful things that could be said about the Holy Spirit. He is amazing! He points us to Jesus. He reveals truth. He is perfect in wisdom. He gives us greater understanding of scripture. He loves us. He comforts us. He works in us to transform us into the likeness of God. He works in the world to convict people of their sins. He has a vital role in a believers life. In the introduction I talked about Him being a person. I heard Reinhard Bonnke say something that stuck with me, “A person doesn’t come in percentages. He’s either present or He’s not.” We on the other hand the ability to quench, resist, or silence Him. We have the ability to reject what He’s trying to do. God doesn’t seek to be our puppet master. He longs to guide not force us. What is the Holy Spirit Like (His Character)? 1. He is love! God is love. If you read Galatians 5:22-23, you’ll see love is the first thing mentioned. We have troubles sometimes in our society because we mistake unconditional love with unconditional approval. God corrects us, says what’s right or wrong, and does it in a way aimed at leading to repentance. God longs to reconcile us to Him, not condemn us or use guilt or shame. 2. He is joyful! Joy is not the same as happiness. Happiness is based on what’s happening. Joy is something that can be experienced in hard seasons as well as mountain top seasons. God has no reason to worry or be stressed out. He’s Sovereign. Psalm 2:4 says He sits in the heavens and laughs at His enemies. 3. He is peace. In the middle of the storm (Mark 4:39), Jesus spoke, “Peace be still.” In the middle of our storms, He is our peace. Also God likes for us to live at peace with others, as much as it depends on us (Romans 12:18). 4. He is patient and longsuffering. The LORD is gracious and compassionate, slow to anger and rich in love,~Psalm 145:8. 5. He is kind, faithful, good, and gentle. I lumped all these attributes together because I truly believe they are overlooked. They are characteristics of God I’d love to see more evident in myself and others. God is kind (definition: having or showing a friendly, generous, and considerate nature. Affectionate; loving). God is faithful (definition: loyal, constant, and steadfast). God is good (definition: giving pleasure; enjoyable or satisfying; that which is morally right; righteousness; possessing or displaying moral virtue). God is gentle (definition: (of a person) mild in temperament or behavior; kind or tender). If you’re thinking how do these descriptions of God fit in with some of the harshness of the Old Testament. I will say sin has a penalty of death. God is Sovereign and holy. His ways of dealing with us are right whether we understand or agree. He can see right into our heart and motives. He didn’t have to save us. Yet He chose out of His great kindness to send His Son to take away the sins of the world (John 3:16). 6. He is self controlled. God is not out of control. We sometimes are, He is not. When we are being led by His Spirit, we are self controlled. God is not looking for ways to control us. He’s giving us His Spirit to help us become self controlled. If we are going to be led by the Spirit, we will need to acknowledge His work in our lives. God longs to deepen our awareness of what Jesus already paid for. The Holy Spirit is a valuable gift. He’s a tremendous blessing. Father help us to have a deeper understanding of You. Help us not to be simply hearers of your Word, but doers. Help us to abide in You. Help us to rely on Your Spirit and not our human intellect. Help us to understand how Your Spirit operates and help us not to quench, ignore, or offend. May we give You as much room as possible to work in and through us. 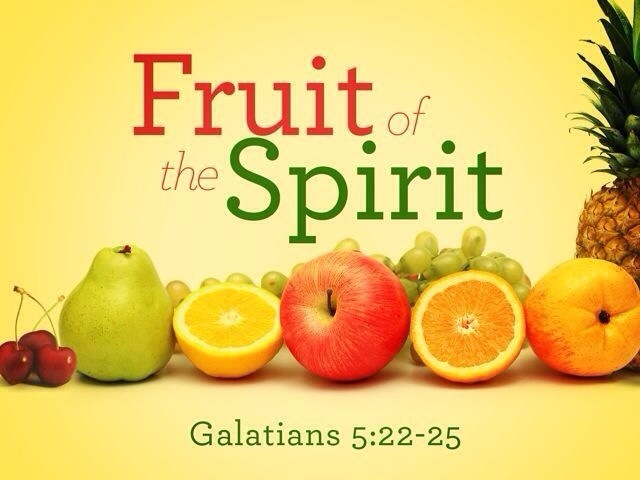 “…You are not in the flesh but in the Spirit, if indeed the Spirit of God dwells in you. But if anyone does not have the Spirit of Christ, he does not belong to Him.” Romans 8:9. “...if the Spirit of Him who raised Jesus from the dead dwells in you, He who raised Christ Jesus from the dead will also give life to your mortal bodies through His Spirit who indwells you.” Romans 8:11. 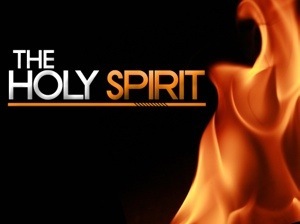 The Holy Spirit is a controversial topic when it comes to some believers or non-believers. Some say He only works in certain ways today and no longer operates the way He did through the disciples. Some disagree. I am not writing this series to attempt to convince anyone to change their beliefs. I do want to share testimonies and scriptures that reveal the person of the Holy Spirit. Why is He so controversial? Well, I can’t answer that question fully. I can provide information from what I’ve heard, learned, and seen. 1. How do people know it’s God and not some fluke, someone’s imagination, or someone’s attempt to prove they are more spiritual? A . 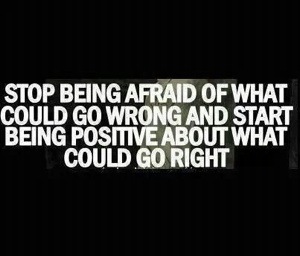 Faith involves some risk. Learning to hear from God, getting to know Him, submitting to the Holy Spirit is a process. We always measure things against God ‘s word, use discernment, and pray. It’s dangerous to judge people when we don’t know their heart, motivation, or see what God is doing. If you read the Bible, it’s filled with outlandish things to the unbelieving eye. Examples: God creating all things (many with just His words), God sending Himself to redeem humanity, the Virgin Birth, Jesus’s death and resurrection, our own resurrection and salvation. If we can believe these things which are the cornerstone of our faith, why do we limit God today or in other areas of life? God has not changed. Our expectations of what He will do have changed. Can we celebrate and acknowledge God can do anything? 2. Those Charismatics, Evangelical, and Holy Spirit filled people act crazy! Dancing, jumping, speaking in tongues, etc…shouldn’t Christians be reserved in their reverence for God? A. Yep! I’ve heard this complaint before. Why is it okay for a person to weep when they have a revelation of God’s love and not okay for someone else to dance or leap for joy? David danced before the Lord, and when his wife was embarrassed by him, he said, “I will become more undignified than this.” God is so good. If we can jump, leap, scream, dance, and cheer for our favorite sports team, why do we pretend expressions for God must be quiet? I’m not stating church should be like a three ring circus. I am stating when we truly have a revelation of God’s goodness, we want to express gratitude. It looks different for everyone. Judging other believer’s encounters with God is not productive. We don’t know our own hearts and motivations, how can we (without God telling us) know someone else’s? 3. Do we really need miracles, signs, and wonders today? A. Imagine knowing the person who had the cure for every disease and answer for every problem. You then tell the world, you aren’t going to ask him for help because a cure wasn’t needed-everyone was appointed to die anyway. God still heals. He still performs miracles. He still does amazing things. We live in a world where people are dying daily; they need a miracle. We tell the world our God is all powerful, then reduce God to what we believe He will do. Miracles demonstrate the goodness of God. Salvation is the greatest miracle. We would not say we no longer need to preach the Gospel, yet some will say we do not need to pray for the sick or divine intervention in people’s lives. 4. What about those so called prophets for hire or miracle healers exploiting people? A. Yes, there are some who misuse the name of God for profit or to exploit or hurt people. That does not mean God doesn’t want to work through His children to bless the world. People don’t counterfeit what’s fake. God’s name is Jehovah Rapha; He is the Healer. God speaks to and through His children. Every prophecy is to be tested. The disciples nor Jesus demanded money to help, bless, encourage, or heal someone. God’s a giver, not an exploiter. Love gives, blesses, and protects. I will end with this story. This Christmas I was with my family. My uncle was there. We were retelling his testimony. He has seizures. One day he had one while driving. He hit a pole at an excelerated rate. He lost consciousness at the scene. Some man found him and cut open his throat so he could breathe. He flatlined several times (on the way to the hospital and at the hospital). I recall being in the waiting room with my family. I recall when they came out to tell us he was dead. My grandma got up and said, “Please take me to see my son. I need to pray for him.” The doctors looked at us like we were crazy. Why pray for a dead man. He was dead. We continued to pray in the waiting room, while others went to pray for my uncle. Needless to say, he’s alive today. The doctors say there’s no way he should alive or be able to function. His brain was without oxygen too long for him to be able to function even if they believed in bringing someone back from the dead. He walks. He talks. He feeds himself. He can read and write. He loves to talk on the phone. God performed a miracle that day. If I weren’t there, I might be skeptical. I’ve seen too much already to put God back in a box. Please don’t be discouraged over this series if you’ve prayed for a miracle and it didn’t happen. I have those stories too!!! I refuse, though, to allow disappointment to sow bad seeds in my house of faith. My expectations are to be backed by God’s character, Word, and Spirit…not limited by past experience or disappointment. God can do anything! If He doesn’t answer the way we’d like, it doesn’t mean He doesn’t love us, care about us, we didn’t pray the right prayer or have enough faith, or that we should stop contending for healing, miracles, or breakthrough. My hope is to inspire you to believe God can do anything!! !